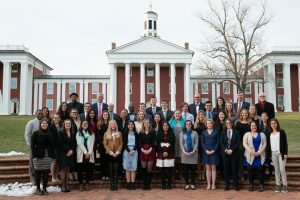 The Phi Beta Kappa chapter at Washington and Lee University welcomed 46 members of the junior and senior classes into the prestigious honor society at the Phi Beta Kappa/Society of the Cincinnati Convocation on Sunday, March 17. All of the inductees were accepted into Phi Beta Kappa based on their exceptional academic achievements. Frederick M. Lawrence, CEO and secretary of the Phi Beta Kappa Society, gave the convocation address. 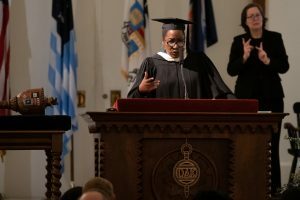 Lawrence is a distinguished lecturer at the Georgetown Law Center and has previously served as president of Brandeis University, dean of the George Washington University Law School and visiting professor and senior research scholar at Yale Law School. An accomplished scholar, teacher and attorney, Lawrence is one of the nation’s leading experts on civil rights, free expression and bias crimes. 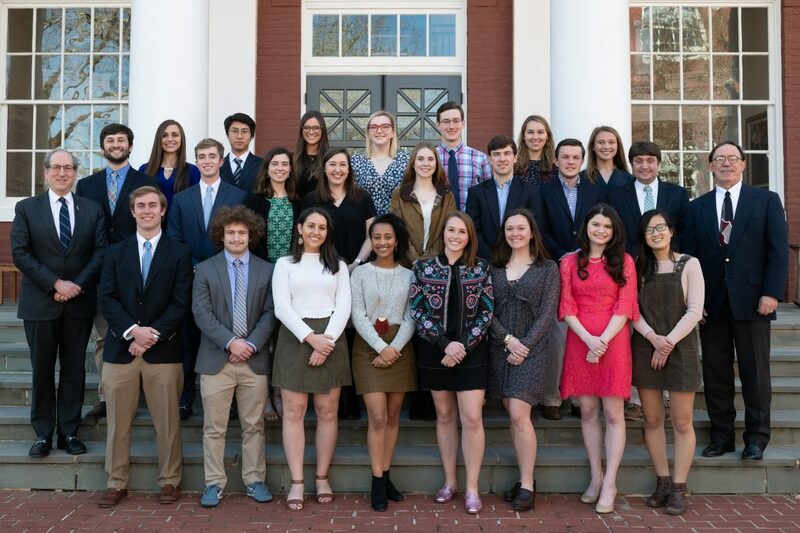 The chapter inducted as an alumni member Thomas E. Camden ’76, associate professor and head of Special Collections & Archives at W&L, in recognition of his scholarly impact on both the archival community and Washington and Lee. The chapter gave Robert V. Masi and Chi Shing A. (Adrian) Lam the Phi Beta Kappa J. Brown Goehring Sophomore Award, which goes to the student(s) with the highest cumulative scholastic average through the end of the fall term of his or her sophomore year. The award honors J. Brown Goehring, professor of chemistry emeritus who, during his 38-year career at W&L, spent 22 years as secretary/treasurer of the University’s Phi Beta Kappa chapter.